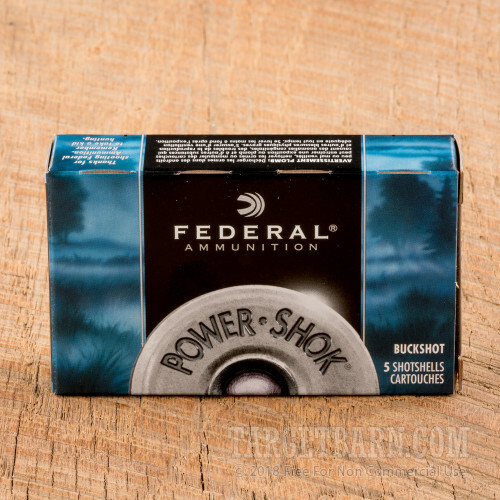 If you enjoy hunting with your trusty 12 gauge, try Federal Power-Shok ammunition. 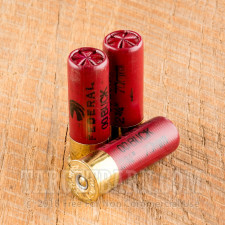 These shells deliver devastating firepower and can bring down deer and most other types of game at close range. 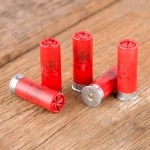 Each shell in this case of 250 fires nine pellets of 00 buckshot at a muzzle velocity of 1,325 feet per second. This is a full power load optimized more for hunting than defense, though it can be used for both in appropriate settings. Expect deep penetration and excellent knockdown power against a variety of animals and predators. Power-Shok ammo is made in Anoka, Minnesota, the home of Federal since its establishment in the 1920s. 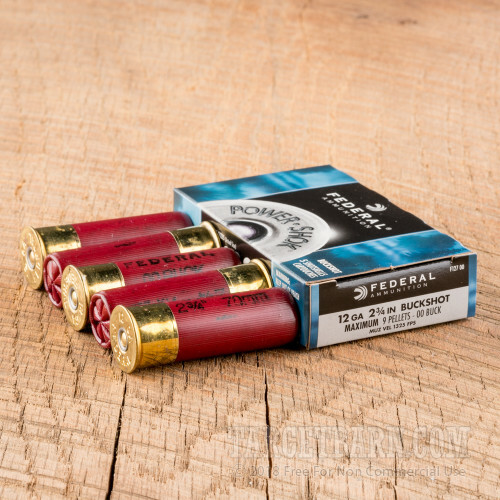 Federal Premium Ammunition is a division of Vista Outdoor, one of the largest groups of shooting related brands in the world. 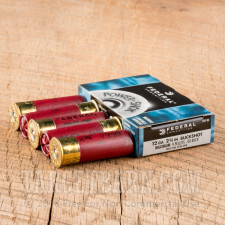 Check out TargetBarn.com's selection of targets as well as quality ammo from Federal and other top manufacturers!